1963 was a very special year for the Corvette. It was the debut year for the C2 Corvette which featured a new interior, an upgraded chassis, and an all-new exterior look. The critically acclaimed design was available as both a coupe and a convertible. Coupes had a futuristic fastback-style rear window, which was split for 1963 only. With that in mind, we can agree that the 1963 split-window Corvette is a pretty special car that is desireable today. 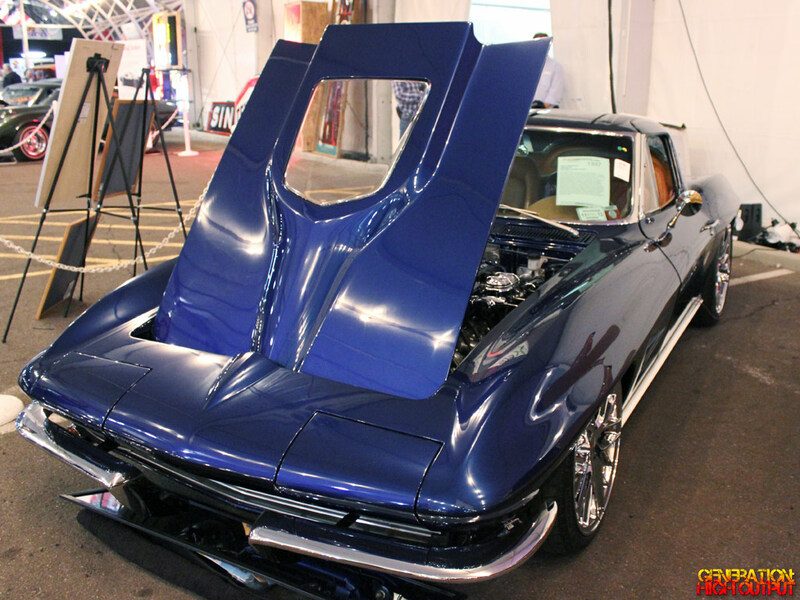 But there’s something about this particular ’63 Vette that makes it extra special: under the hood is a supercharged LS9 V8 engine from the sixth-generation Corvette ZR1! 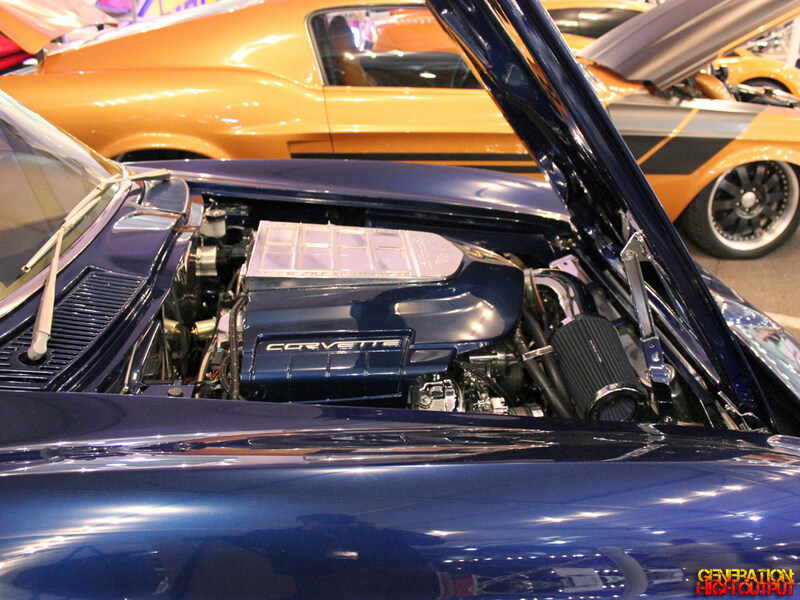 Back in 1963, the Corvette had a 327 cubic-inch V8 engine that made anywhere from 250 horsepower to 360 horsepower, depending on the configuration. Today, this car has a 376 cubic-inch engine that makes a whopping 638 horsepower and 604 pound-feet of torque! It is coupled to a T56 six-speed manual transmission with 3.73 gears and a DANA 44 rear end. The engine isn’t the only thing about this car that’s been upgraded. It rides on a C5 suspension and has 6-piston ZR1 calipers with 15″ Brembo carbon ceramic rotors when it’s time to bring it to a stop. Where the rubber meets the road, you’ll find C6 ZR1 wheels and a full Air Ride Technologies air suspension system. Peek your head inside and you’ll notice the unusual interior. It’s not cloth, leather, or suede. The seats, door panels, and interior accents are covered in none other than buffalo hide! Whether you love it or hate it, I’ve got to give points for originality. With most cars, you have to choose between “show” and “go.” From the custom PPG blue paint to the massively powerful supercharged engine, this car does both without compromise. It sold at Barrett-Jackson 2013 for $264,000. 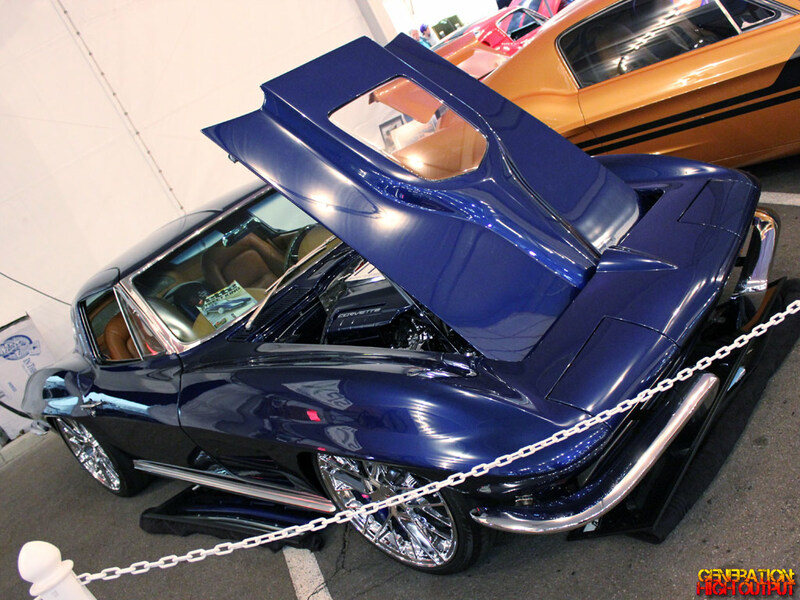 This entry was posted in Barrett-Jackson and tagged 1960's, auto auction, Barrett-Jackson, C2 Corvette, Chevrolet, Corvette, custom car, engine swap, Restomod, scottsdale 2013, Split Window by Trevor Freeman. Bookmark the permalink.